Westtown School is a Pre-K through 12th grade Quaker, coed, college preparatory day and boarding school in West Chester, PA.
and rafting. Their longest stay will be in the hostel of a Buddhist monastery in Pharping. This intrepid group departs on Saturday and we wish them safe and happy travels! They will have limited access to cell phones and wi-fi, but we hope to see student postings here on the blog. Follow Upper School principal, Eric Mayer, on Twitter @ericwesttown for updates as well. They’ve been planning for this all year. Some have been thinking about what they would do for several years. And now, finally, their bags are packed: it is time. The seniors depart tomorrow for their Senior Projects. These Projects will take them to 15 countries and all around the United States. The Class of 2012 will participate in 57 different Projects, ranging from shadowing doctors to interning with a fashion design house to conducting research in a chemistry lab to rock climbing. The school-sponsored trips this year will take groups of students to Heritage Academy in Ghana, to AULA in Barcelona, and to Israel/Palestine. We invite you to follow along as a few our seniors write about their experiences in the field here in this blog. We wish all Westtown School seniors a bon voyage! This just in via Teacher Deb’s phone! This is Lynn, Emily and David making bricks at the Elephant Park. Note their pachyderm friend in the background! 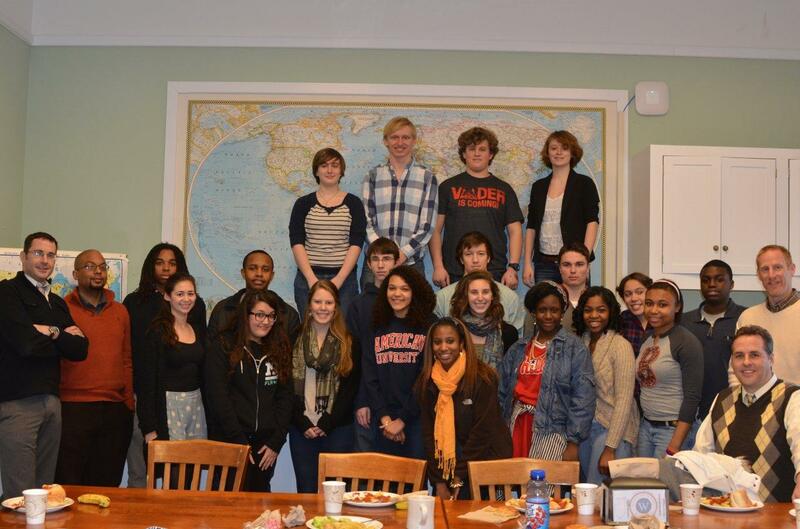 Westtown students from the class of 2011 have nearly finished preparations for their Senior Projects. They will be in locations all over the globe, involved in diverse and challenging learning experiences. From language immersion to studying religious conflict to volunteering at a medical clinic, the projects represent the special interests and passions of our seniors. This year we will be following the experiences of bloggers in Ghana, Thailand, Washington, DC, Germany, Israel/Palestine, New York, Florida, Spain and Pennsylvania, among other locations. What will they discover about themselves and the world? What lessons will they learn? What will we learn from them? Stay tuned…! We have gotten word that all the Westtown School students in Chile for their Senior Projects are unharmed. Our thoughts and prayers go out to all those affected by the quake. We will keep you posted as we receive information. Thank you for your care and concern. Seniors at Westtown School will be blogging about their Senior Projects! Stay tuned for entries from around the globe!